Philip Z. Maymin, Ph.D., is Assistant Professor of Finance and Risk Engineering at NYU-Polytechnic Institute. He is also the founding managing editor of Algorithmic Finance. Maymin holds a Ph.D. in Finance from the University of Chicago, a master’s in Applied Mathematics from Harvard University, and a bachelor’s in Computer Science from Harvard University. He also holds a J.D. and is an attorney-at-law admitted to practice in California. He has been a portfolio manager at Long-Term Capital Management, Ellington Management Group, and his own hedge fund, Maymin Capital Management. Dr. Maymin has also been a policy scholar for a free market think tank, a Justice of the Peace, a Congressional candidate, and a columnist for American Banker, the Fairfield County Weekly and LewRockwell.com. He is also an award-winning journalist and the author of Yankee Wake Up, Free Your Inner Yankee, and Yankee Go Home. He was a finalist for the 2010 Bastiat Prize for Online Journalism. His popular writings have been published in dozens of media outlets ranging from Bloomberg to Forbes to the New York Post to American Banker to regional newspapers, and his research has been profiled in dozens more, including The New York Times, Wall Street Journal, USA Today, Financial Times, Boston Globe, NPR, BBC, Guardian (UK), CNBC, Newsweek Poland, Financial Times Deutschland, and others. 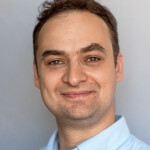 Dr. Maymin’s research on behavioral and algorithmic finance has appeared in Quantitative Finance, North American Journal of Economics and Finance, Journal of Wealth Management, Journal of Applied Finance, and Risk and Decision Analysis, among others, and his textbook Financial Hacking was released by World Scientific in 2012. Michelle Baddeley, Ph.D., is a behavioral economist currently based at Gonville and Caius College/Faculty of Economics, University of Cambridge and University College London. She explores links between economics, psychology and sociology, and has used experimental/neuroscientific techniques to analyse links between personality/emotions and herding/social influence. Other experimental analyses have shown that social influences affect housing markets and jury deliberations. 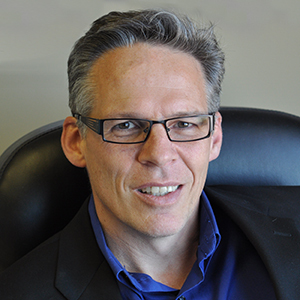 Dr. Baddeley’s current research explores behavioural biases in learning, energy demand and online decision-making. Her books include Behavioural Economics and Finance (2012), Running Regressions – A Practical Guide to Quantitative Research (2007), and Investment – Theories and Analysis (2003). 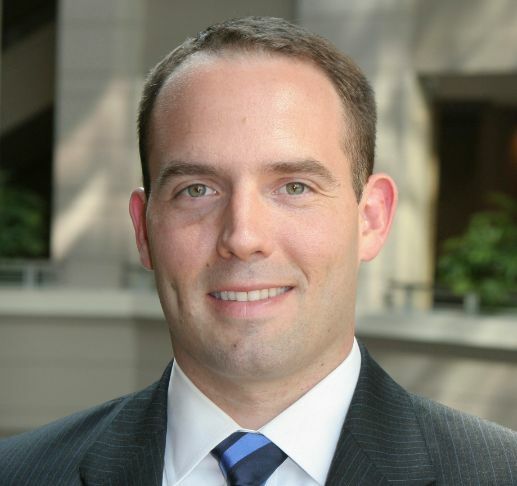 Jon Clifton is a Partner at Gallup and Director of the Gallup Government Group. His responsibilities include oversight of Gallup’s global government work and the Gallup World Poll, an ongoing study conducted in more than 150 countries, representing more than 98% of the world’s adult population. Jon is a nonresident Senior Fellow at the Baylor University’s Institute for Studies of Religion. 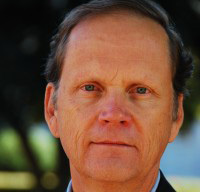 He is a member of Gallup’s Public Release Committee, the group that oversees and maintains Gallup’s public release standards for data, research, and methodology. Jon received a bachelor’s degree in political science and history from the University of Michigan and a juris doctorate with a focus in international law from the University of Nebraska. 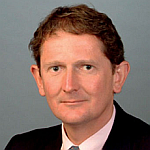 He resides in Washington, D.C.
Joe Daly, a Senior Consultant for Gallup, is responsible for growing Gallup’s partnerships with governments, nongovernmental organizations, foundations, and multinational organizations. 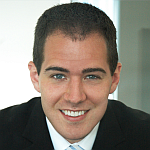 He provides strategic consulting services on economics, wellbeing, and job creation. His work is rooted in Gallup’s worldwide research, which tracks behavioral economic indicators in more than 150 countries. Joe received his master’s in business administration degree with a focus on international business from the McDonough School of Business at Georgetown University and a bachelor’s degree in mechanical engineering from The Pennsylvania State University. 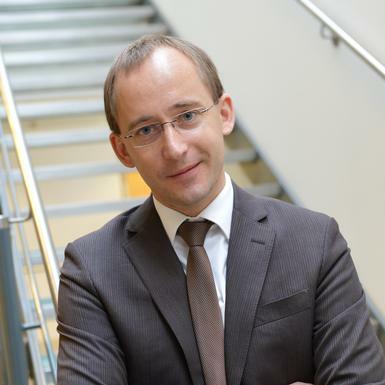 Tobias Preis, Ph.D., is an Associate Professor of Behavioral Science and Finance at Warwick Business School. His recent research has aimed to carry out large scale experiments on complex social and economic systems by exploiting the volumes of data being generated by our interactions with technology. In 2010, Dr. Preis headed a research team which provided evidence that search engine query data and stock market fluctuations are correlated. In 2012, Dr. Preis and his colleagues Helen Susannah Moat, H. Eugene Stanley and Steven R. Bishop used Google Trends data to demonstrate that Internet users from countries with a higher per capita GDP are more likely to search for information about the future than information about the past. Dr. Preis advises governments and private sectors on using digital traces. Mark Buchanan, Ph.D., is a former editor at Nature and New Scientist, and is the author of numerous magazine and newspaper articles published internationally. He currently writes monthly columns for the financial media outlet Bloomberg View, as well as for Nature Physics. He has written two prize-nominated non-fiction books, Ubiquity: The Science of History and Nexus: Small Worlds and the Groundbreaking Science of Networks. In 2009, he received the LaGrange Prize for writing on issues in complexity science. 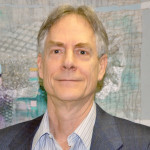 Dr. Buchanan also writes a blog, The Physics of Finance, exploring the application of physics-inspired thinking to the understanding of financial systems. His most recent book, Forecast: What Physics, Meteorology, and the Natural Sciences Can Teach Us About Economics, is now available from Bloomsbury Press. Rishab Aiyer Ghosh started “First Monday,” the most widely read peer-reviewed journal of the Internet, in 1995. In 2000, at the University of Maastricht in the Netherlands, Ghosh started the Collaborative Creativity Group, the leading research group on the economics of free/open source software, Wikipedia and other forms of collaborative innovation. His latest project is Topsy Labs, which is using big data to produce the only full-scale public index of the social web. 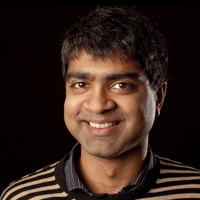 Ghosh has extensively researched and published how reputation works and motivates in online communities for more than 12 years, collaborating with Stanford, Oxford, Cambridge and Tsinghua Universities, with grants from the US National Science Foundation and European Commission. He is also a board member of the Open Source Initiative. Kevin Armstrong worked at Merrill Lynch for 16 years, where he was responsible for the firm’s US institutional equity sales for Europe. In 1996, he emigrated to New Zealand and served as chairman of the ANZ Group’s Regional Investment Committee, ultimately serving as Chief Investment Officer for ANZ’s Private Bank. An early advocate of the socionomic hypothesis, Armstrong says that Prechter’s social mood theory influenced his work overseeing the investment strategies for more than eight billion dollars in assets for clients across Australia, New Zealand and Asia. He was the bank’s spokesman on investment matters and a regular public speaker regarding investment and global investment strategy. Kevin graduated from Magdalen College, Oxford University, with an M.A. in Physics. Murray Gunn is Head of Technical Analysis for HSBC Bank, covering cross-asset markets of FX, interest rates, equity indices, metals and commodities. He joined HSBC in September 2010 having spent most of his then twenty-year career working on the buy side, as a portfolio manager in equity, bond and currency markets. A published author on technical analysis, Murray holds an M.A. in Economics, the Society of Technical Analysts UK Diploma (MSTA) and is a Certified Financial Technician (CFTe). He has been investing and trading with technical analysis since the early 1990s and serves on the board of the Society of Technical Analysts. Murray is also a Founding Member of the Socionomics Foundation and incorporates socionomic analysis into his research work with HSBC. In particular, he focuses on how socionomic analysis can be applied in the world of investing and trading. Marah Boyesen began to integrate socionomics into her work with students in a private high school in Bryn Athyn, PA after she read Bob Prechter’s Conquer the Crash. In turn, her students are very likely the first to formally study socionomics at the secondary level. During her 20-plus-year career as an educator and coach, Marah has gained a reputation as a go-to source for teenagers seeking motivation, inspiration, and guidance. Previously Marah spent time as an elite amateur cyclist, where she used sports psychology to advance her racing, competing in regional, national, and international events. Marah also works for an affiliate of Brain State Technologies, training clients in a state of the art neuro-technology. Marah received a bachelor’s in Psychology from James Madison University. Alan Hall began studying Elliott wave analysis and socionomics after meeting Bob Prechter in 1995. Alan’s grasp of socionomics made it easy for him to recognize the escalating housing mania, thus in 2004 he closed his building business and soon joined the Elliott Wave International staff as a writer. He received his degree in Fine Arts from Berry College, graduating into the world of the 1970s bear market. His range of job experiences includes decades as a custom homebuilder/designer. Alan wrote the lead articles for the inaugural issues of The Socionomist in May and June 2009. Since then, his article topics have showcased the wide range and deep applicability of the socionomic perspective. Alan has traveled widely, and been a contributor to Global Market Perspective, The European Financial Forecast and The Elliott Wave Theorist. Alan does a wide variety of research aimed at demonstrating the utility of socionomic theory. Mark Almand is director of the Socionomics Institute. He helped found the Socionomics Foundation in 2004 and the Institute in 2005, and helped launch The Socionomist in 2009. He serves on the Board of Directors of the Socionomics Foundation. Click below to learn more about our past speaker lineup.